NEW YORK - Apple's launch of two new iPhones raised fresh doubts Wednesday about its strategy to expand its smartphone market share, prompting a slide in the company's shares and harsh analyst comments. Some analysts said Apple had failed to slash prices enough to make an impact in key emerging markets or with budget-conscious buyers, and did little to show it has regained its edge in innovation. Shares slid 5.4 per cent to end at US$467.71 in New York, a day after the technology giant presented the two new iPhones as part of an effort to regain momentum in the smartphone market. 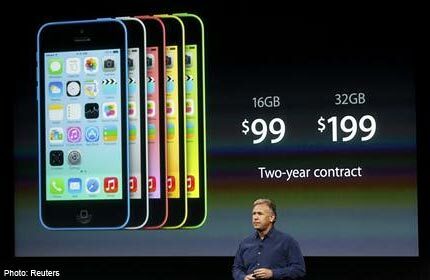 While the new iPhone 5C is being offered to US customers at US$99 with a subsidized carrier contract, the unsubsidised price will be US$549 in the United States, and more than US$700 in China. 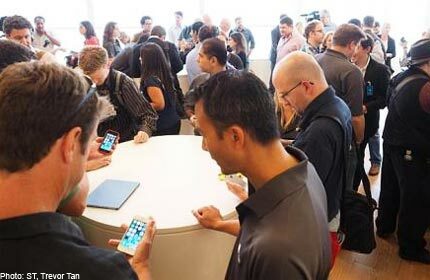 Analysts at the research firm Trefis said the iPhone launch "turned out to be a dampener of sorts, as the company priced what was expected to be a significantly cheaper iPhone at a hefty US$550 and did not introduce any new products such as an iTV or an iWatch." "So much for the low end," said Credit Suisse analyst Kulbinder Garcha in a research note. "We remain disappointed with Apple's decision to remain a premium priced smartphone vendor." 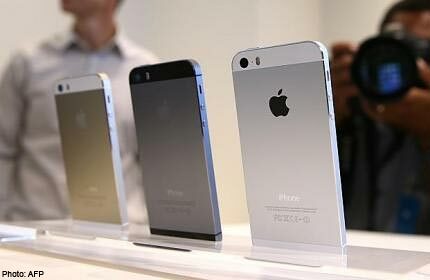 Garcha said that the new top-line iPhone 5S was "lacking real innovation" and that the lower-cost version may hurt sales of the premium product. 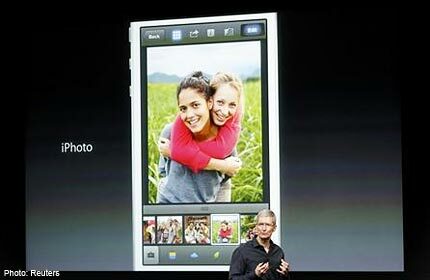 "The iPhone 5S has a new apps processor, improved camera functionality and new motion sensor functionality. However, these are not game changers and are more evolutionary rather than revolutionary changes," the analyst said. Jefferies analyst Peter Misek said the new devices were "lovely phones" but that the launch "still leaves Apple with a product gap in the low-end." Walter Piecyk at BTIG Research said Apple is not doing enough to target the customers buying phones without a carrier subsidy, which is the norm in many places around the world. 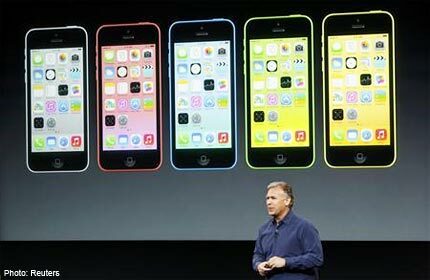 "The pricing on the iPhone 5C is simply not low enough to adequately address the significant global growth opportunity that we believe exists with unsubsidised prepaid customers that have not yet bought a smartphone," Piecyk said in a note to clients. 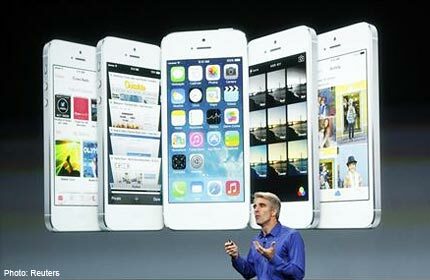 "We believe Apple is foregoing a valuable and relatively easy way to return to earnings growth. 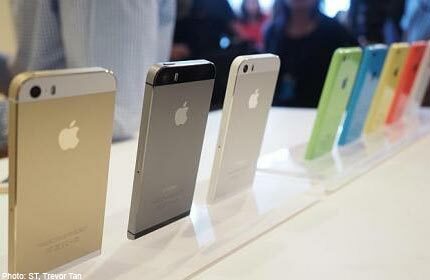 The real question is whether Apple plans to ever go after these markets or rather just remain a high-end phone maker." Fred Wilson of the venture capital firm Union Square Ventures, which invests in tech firms, said on his blog that Apple failed to understand that around the world. most customers do not get carrier subsidies. "The C in 5C does not mean 'cheap' as I had hoped," he wrote." It means clueless, as in clueless about how the vast majority of new smartphone users are paying for their phones." Bank of America/Merrill Lynch analysts downgraded their outlook for Apple to "neutral" over disappointment on the new handsets. Bank of America analyst Scott Craig cited the "lack of a 'lower-end' iPhone and price points that will be too high to increase penetration in emerging markets." He also expressed dismay that Apple did not, as expected, announce an agreement with China Mobile, which has some 700 million subscribers. Apple said it will begin taking orders on Friday and on Sept 20 the two devices will go on sale in the United States, Australia, Britain, China, France, Germany, Japan and Singapore. 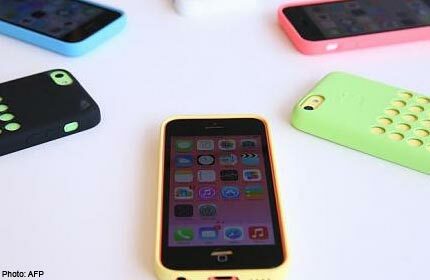 The iPhone 5C is part of Apple's bid to counter the flood of low-cost smartphones from rivals, most of which use the Google Android operating system. The smartphone market is now dominated by Android devices, with roughly three-fourths of all handsets, but a forecast by research firm IDC suggested Apple will increase its share this year to 17.9 per cent from 16.9 per cent. 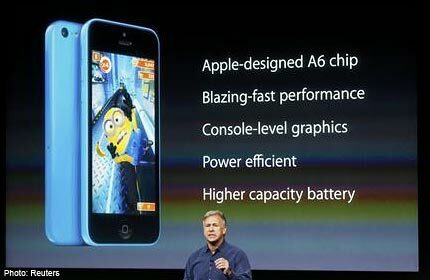 Apple executives argued that the iPhone 5C is a "beautiful" device despite its reduced cost, and that the 5S would be "the gold standard in smartphones." 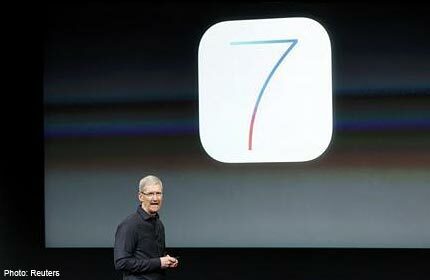 Apple said its iOS 7 software will debut Sept 18. It includes a free iTunes Radio Service featuring more than 200 stations "and an incredible catalogue of music from the iTunes Store." 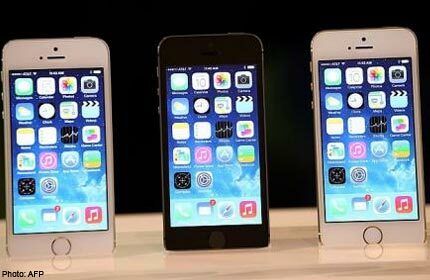 SingTel has announced that its customers will be able to get Apple's latest iPhone 5c and the iPhone 5s from Friday, Sept 20. Customers may pre-register their interest at www.singtel.com/iphoneroi. 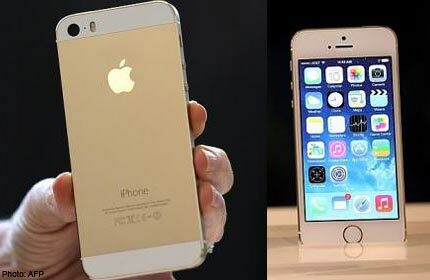 The new iPhone 5s sports the exact design and dimensions of its predecessor. 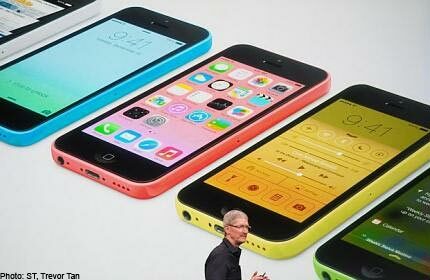 The new iPhone 5C comes in 5 colours and is supposedly priced lower to make it more appealing to the emerging markets. However, its price in China - over S$900 - has disappointed many potential buyers. 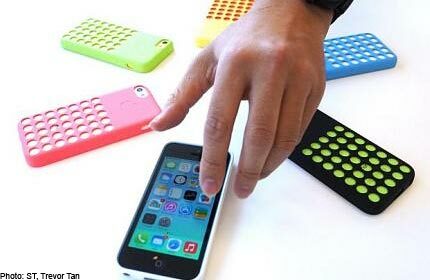 Analysts were keenly focused on the promise of an iPhone 5C to win over buyers in China. 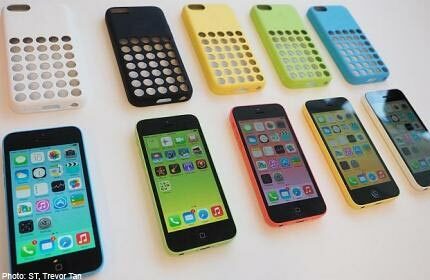 Apple designer Jony Ive said that despite the low cost, the polycarbonate iPhone 5C with a steel frame "is beautiful." 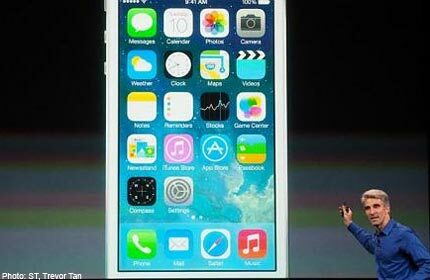 The new iPhone 5S is 7.7mm thin and weighs a mere 112g. 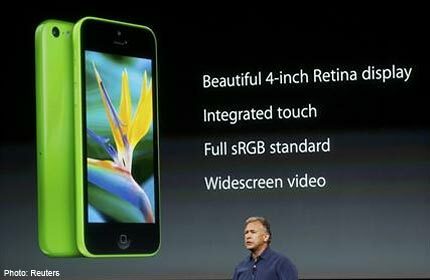 It offers the same 4-inch touchscreen display and aluminium chassis. The 5S will also have improved battery life: 10 hours of talk time, or 40 hours of music listening. 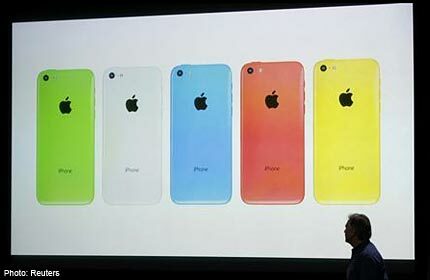 Apple has introduced 2 new iPhones, including an "iPhone 5C" that comes in 5 colors and starts at US$99 (S$126). 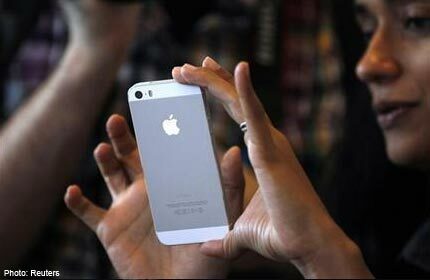 It is priced to bring one of the industry's costliest smartphones within reach of the masses in poorer emerging markets. For the first time, it will go on sale in China at the same time as in the US. Apple is trying to beat back rivals Samsung and Huawei in markets like India and China, where it is quickly losing ground. 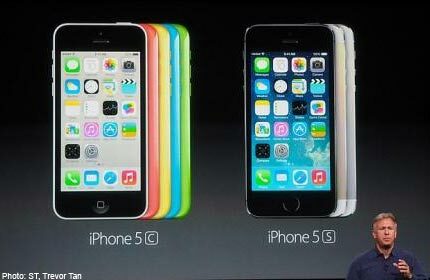 Broader colour palette and lower price are a departure from its reliance on a premium brand and black and white gadgets. 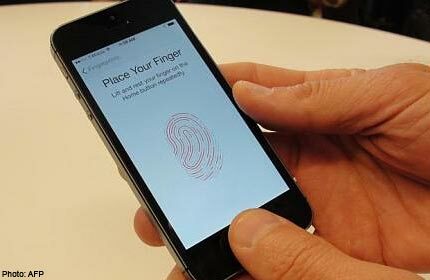 The iPhone 5S sports expected improvements in processor speed and iOS7 software along with a fingerprint-scanner. 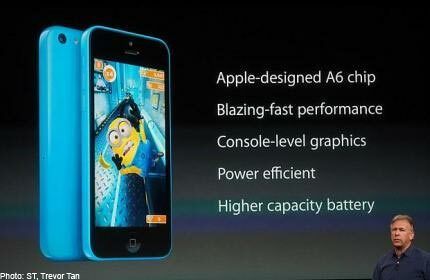 The pricier "5S" also comes in three colors - gray, silver and gold - and sports expected improvements in processor speed. 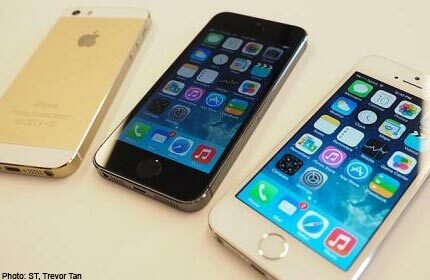 The iPhone 5S comes in 3 colours - grey, silver and gold. 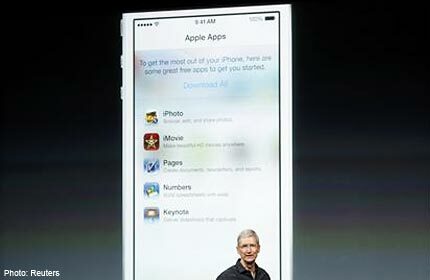 Apple CEO Tim Cook speaks about the new iOS7 software during Apple's media event. iOS7 improvements are largely incremental.